Another Italian resstaurant off Telawi at Bangsar. I find their pizzas are a little lazy, bread is neither thin nor thick... Mushroom slices were all in different and funny shapes. Not consistent... 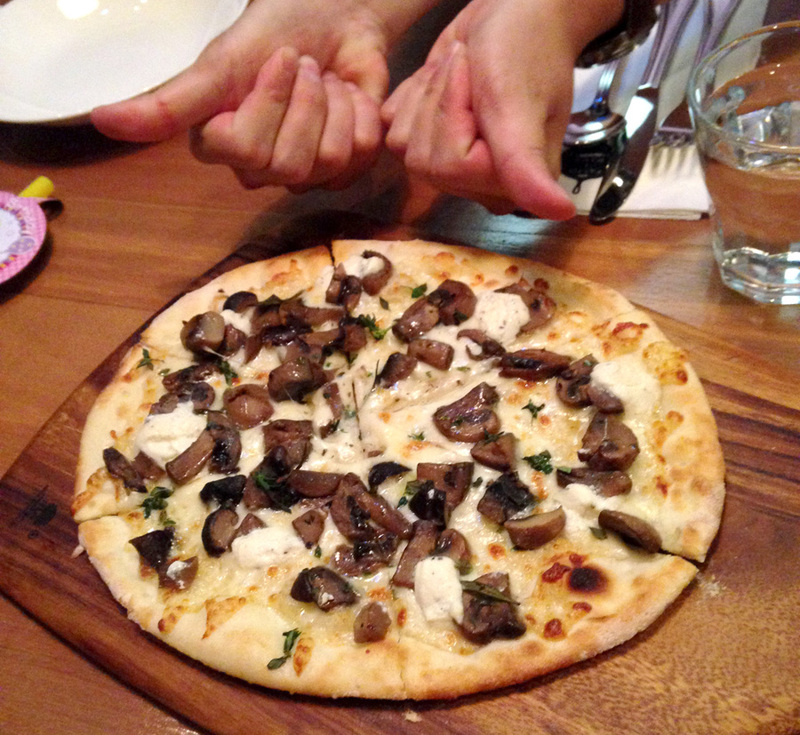 But the smell of this truffle oil is very fragrant, hence it's called mushroom truffle pizza or something. 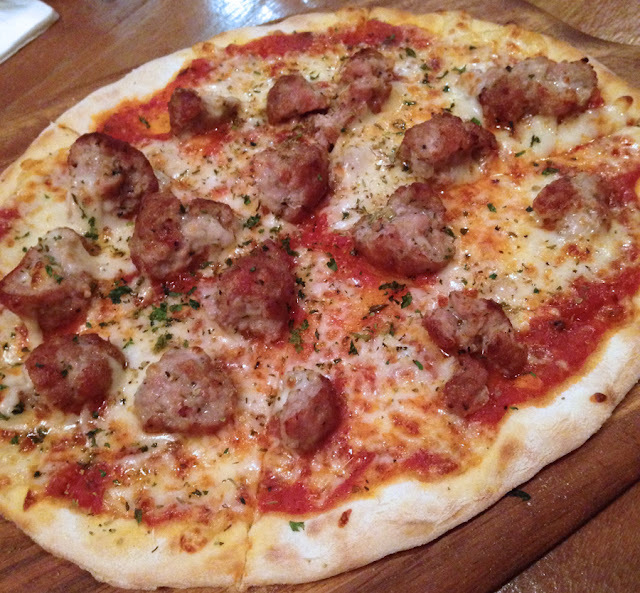 The meatballs pizza if I'm not wrong. The meatballs are very juicy! 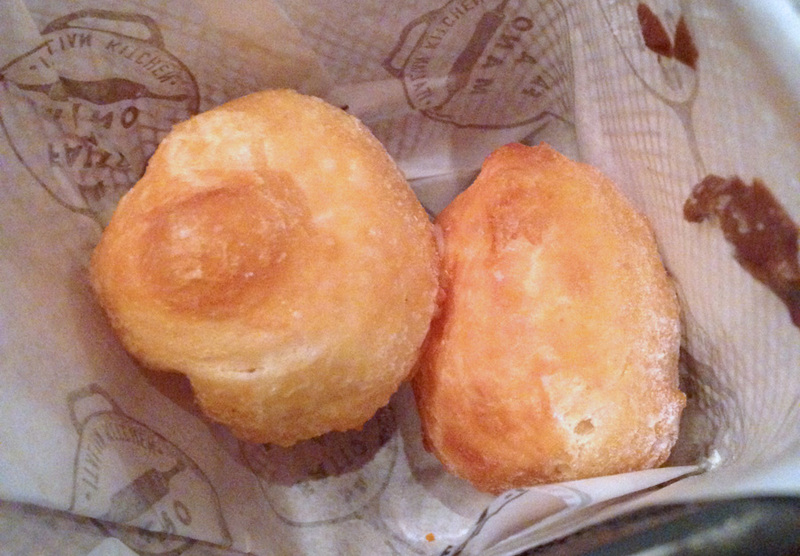 But again, I wish the pizza bread was much thinner and crustier. It's not wrong... it's just preference. 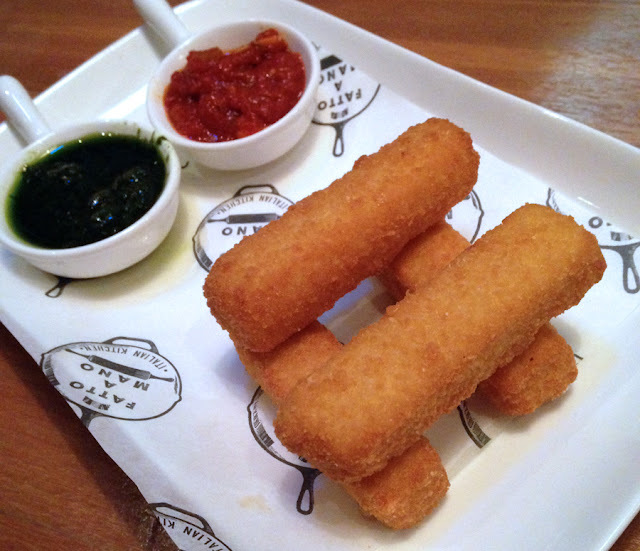 Fried Mozzarella Sticks served with parsley pesto and tomato dippings. 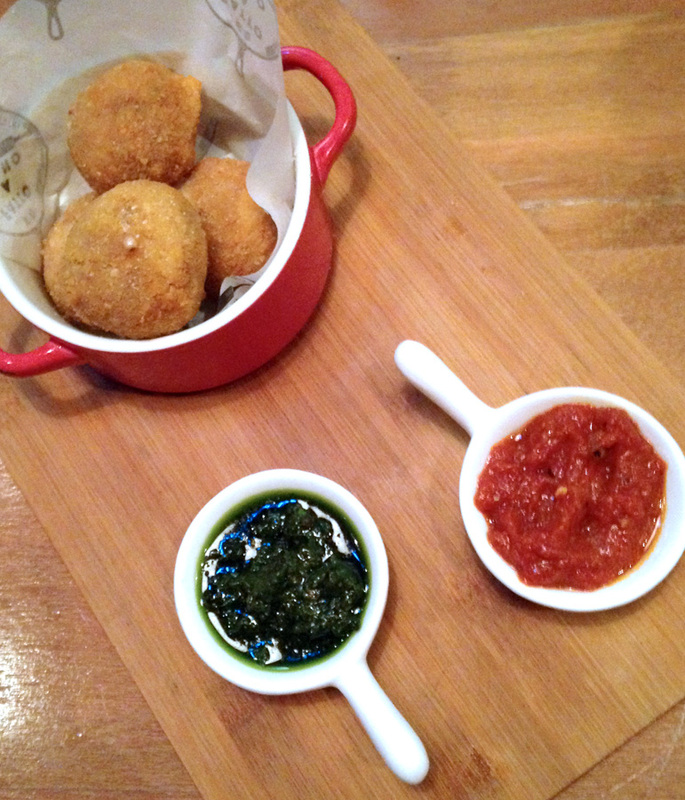 Those Arancini Alla Siciliana, a less fancier English name, Fried Risotto Balls are so cheesy! 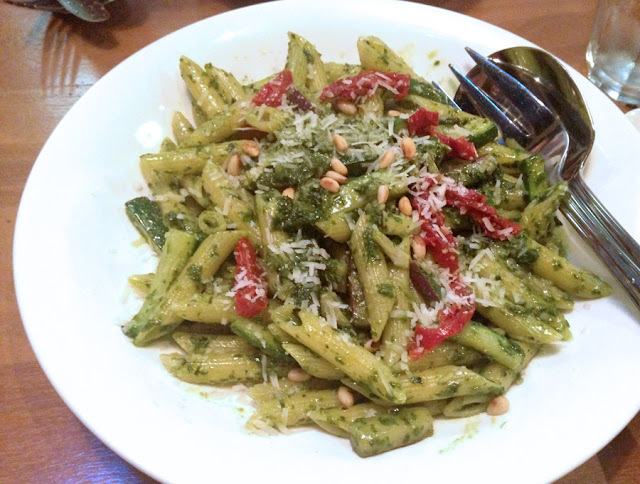 Penne Pesto. It would have been nicer with more pine nuts. My favourite pesto is still the vegetarian version at RGB & The Bean Hive. Also, I'm not quite a penne fan so my preference leaned over towards to RGB's Angel Hair Pasta. 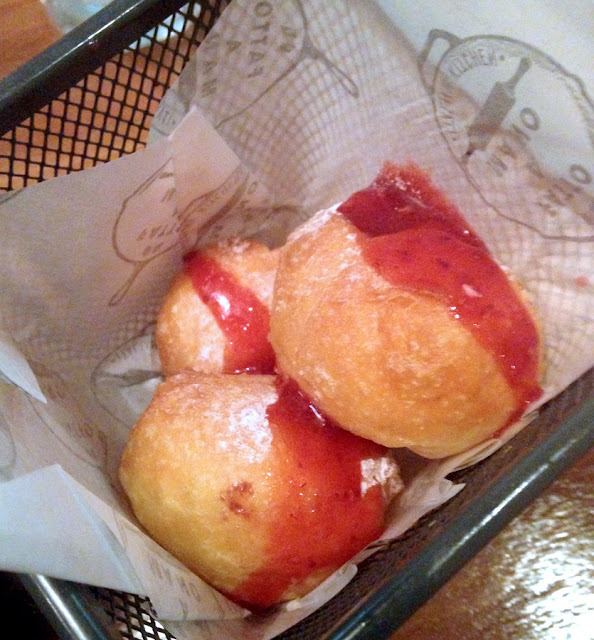 Oh their Bombolone is so good!! It oozes out!! It comes in size of, say golf balls? 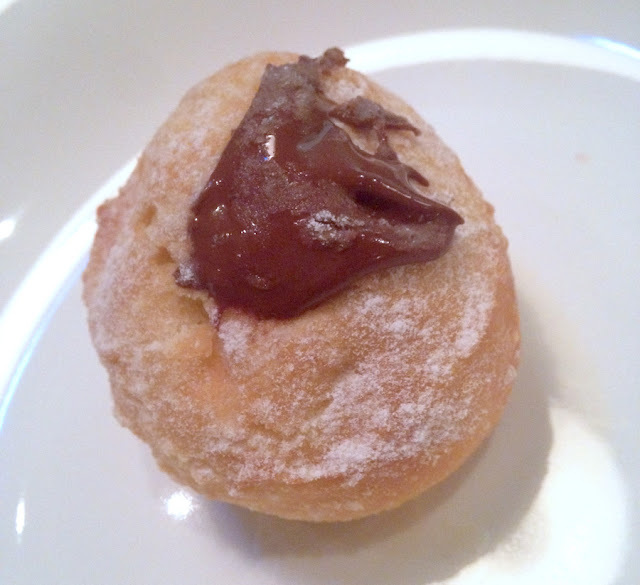 The Nutella Bombolone. Major win with Nutella. 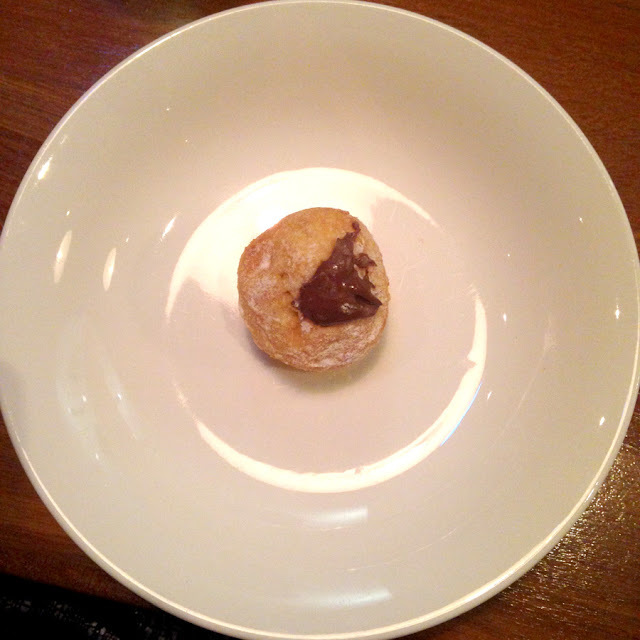 Nutella seems to go well with almost everything.